One of the surest ways of doing away with unwanted habits is taking your pet to an obedience school, or hiring a trainer. Ask friends with pets for referrals and then be vigilant about implementing the strategies the experts recommend. 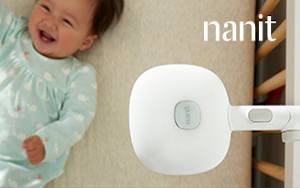 Enact changes in routines before baby arrives. If your pets have certain routines that you would like to shift, do so before baby arrives. For example, if your pet sleeps in your bed, is used to going for a walk at a time that will need to change when baby arrives, or has their food station in the area that you’ll be placing the high chair in, begin easing your pet into any new circumstances or routines at least a month before your due date. Making these transitions before baby arrives can minimize the onslaught of changes your pet will go through, making them less resistant to the new member of the family. It’s important to decide how close is too close in regards to your pet and your baby. If you would rather your pet keep a bit of distance, at least in the beginning, between their self and the baby, be firm with this rule. When your pet gets closer than you’re comfortable with, firmly command them to move back, or support them in moving away. If there are rooms, or zones of the house, that you want to be off-limits for your pets, implement those boundaries before baby arrives. For example, you could keep the nursery door closed, or put out the baby’s bassinet or play mat and make it known that you don’t want your pet to lay on it. 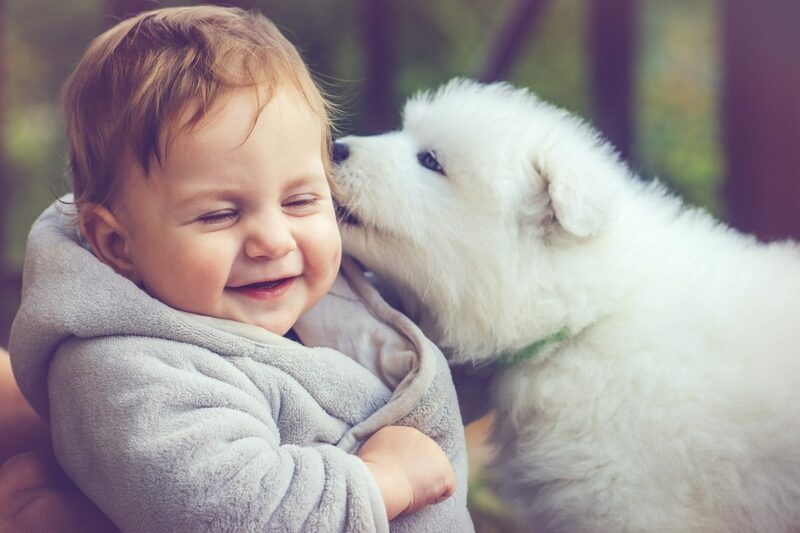 To prepare your pet for the array of new smells baby will bring, have someone bring an article of clothing with your baby’s scent on it to your home for your pets to smell. As they’re taking a sniff, instruct the person who is holding the article of clothing to also gently pet your animal, helping them create positive associations with the baby’s scent. When the actual baby arrives your pets will feel more familiar and comfortable with the new addition. Organize extra care for your pets. Because you and your pets can’t discuss the changes that will be happening in your household, as you would with another human, it’s crucial to remember that your pets will likely be dealing with emotions that range from irritation to depression, as your attention shifts from them to the baby. To ensure your pets still feel the love, ask friends or family members to help out in the beginning. If you have a dog, find people that could take them for a walk or a romp at the dog park. If you have a cat, ask a friend who’s a cat lover to come over to give your fur baby some TLC. And of course, whenever possible, remind your pets that they’re still important to you by carving out bits of time throughout the day to spend with them. Set yourself up for success with the initial introduction. If you have a high-energy dog, have someone take them for a long walk, helping to ensure they’re a bit calmer when they first meet baby. Then, think about how close you would like your pet to get to baby during this first meeting. Because this introduction could be unpredictable, have someone hold the collar of a larger animal, or hold a smaller animal in their arms, so you have more control over the proximity of your pets to your baby. If you have more than one pet, you can consider whether you want to split up the meetings, or allow them to occur all at once. This really depends on the temperament of your animals. If they’re calm, and don’t rile each other up, it may be fine for you to include all animals in the initial meeting. If you’re worried that they’ll get one another overly excited, you can split them up and do the introductions one at a time. In the beginning, make sure you’re always present when your pets and baby are near one another. Both children and animals can be erratic so you’ll want to monitor all interactions until your child is older. In addition, begin teaching your baby that it’s not okay to pull the dog or cat’s tail, for example, by gently removing their hand if such an action occurs. As much as you love your animals, the safety of your baby has to come first. If you’ve utilized the support of professionals and implemented clear boundaries, but still feel unsure about your baby’s well being when they’re around your pet, it might be time to find a new and loving home for your pet.